With this list of best travel apps we want you to take full advantage of your Android and iOS devices on your next trip. Save time, money and get useful information that will make your trip more enjoyable and relaxed. 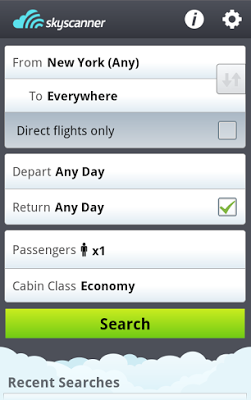 Skyscanner is the official app of the website www.skyscanner.com. This app will enable you to save money and time in finding the best and cheapest flights directly from your smartphone. Skyscanner strives to be independent and it will show you all flights, even the cheapest ones. On top of that the app is user friendly, fast and clean. Definitely a must have if you travel frequently with airplanes. 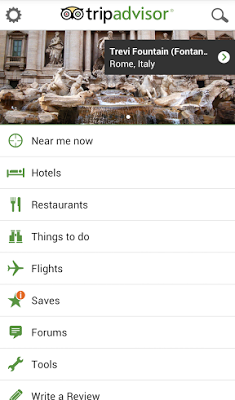 Places Explorer, the amazing travel guide app, is developed on the Android platform, very easy to use and helpful for travellers that need help to discover the best places nearby, anywhere they are, directly from their phones. With this app, the traveller can even check the weather forecast, find restaurants, hire a taxi or simply find directions to any place of his choice. 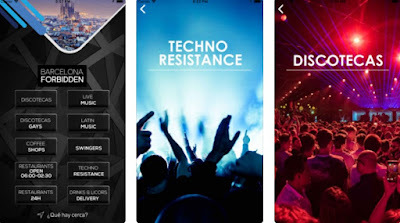 The Barcelona Forbidden is one amazing entertainment app which is developed for both Android and iOS users, specially created for Barcelona travelers. With this app, all the travelers to Barcelona are able just by using their GPS to discover all interesting and fun places around Barcelona where they can go out or go eat without spending much time looking. User-friendly and easy to use, the app helps users in finding places in the area where they can enjoy a perfect night in the city. The Vacay – Places NearBy Me is a location app which is very helpful and practical offering each user a chance to discover local businesses, services and service providers in his area based on his current GPS location, instantly on his phone. The MULMIN Sightseeing is developed for both android and IOS users as one incredible and helpful sightseeing app that allows the users to learn everything they need to know about the place they travel to, getting all detailed information on their phones. Easy to use and very practical this personal tour guide is allowing the user to just take a picture and immediately get all information about that showplace. Users with the app will have the chance to build up their knowledge on the go, no matter where they are in the world. This is an amazing GPS navigation app which is developed on Android platform as one easy to use and very practical navigation tool that will help the user reach any destination of choice as fast as possible and always safe. The app is working both online and offline and the user is getting the help he needs to find any location within a certain distance that can be reached. Well, detailed and powerful offline maps are available on the app so the user just by typing an address can reach any destination without any mistake just in a few minutes with the advanced optical and audio guidance of the app. So if you are like us, too lazy to cook, but craving your favorite dish right now, you ought to try out the new foodie app on the block – Plate Rater. This is an excellent option to find nearby restaraunts when you are in a city that you want to explore. 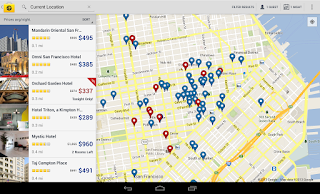 Plate Rater can help you find new and popular restaurants or places to eat but it is mostly focused on the food. For example, a few days ago we were craving some good pork dumplings and instead of searching for all the Chinese restaurants around us, we searched specifically the dish, and within the results we found all the restaurants that served it and which one has the best ratings. eyeParaty is easy to use and very interesting virtual reality app that is offering its users to virtualy visit the most beautiful and preserved places of Paraty located in Rio de Janeiro. Developed for android and IOS users, this app is allowing users to have the most realistic virtual experience of Paraty, meeting all places of this historical city that is listed by Unesco as the most harmonious colonial architectural set of the country. If you ever wanted to visit Brasil, and you haven't had the chance, this is the app that will take you there! Perfec is a simple and polished tool that brings tons of information at your fingertips – places, services, products and so on. So, if you want to discover things or locations around you with an ease, this is the right way to do it. It's a really simple app where you can find locals & events nearby to plan and do fun things no matter the location. The Check and Pack app is highly efficient practical and helpful backpacking planner app which is developed for android and IOS users to help them organize and manage lists with items to bring and things to do for their upcoming hiking, backpacking and other exotic holidays they plan. With the help of this easy to use and customize app and its amazing interface, users are able to easily remember each thing they need for their trips, never forgetting anything they need to do or bring with them. 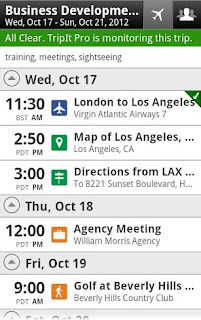 This checklist app is saving users time and helping them organize the most incredible trips. For all travel lovers that like to book hotels and flight tickets online, this is one very practical and useful travel app which allows all of them to easily and effortlessly compare prices of tickets and hotels before booking them and find the cheapest prices that will save them money each time they travel. 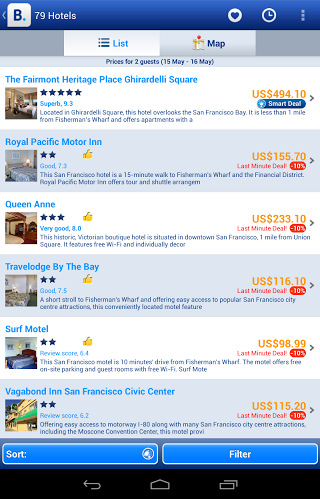 Developed on android platform with simple interface and very easy for using, this app is comparing prices on various popular booking websites and find for users the prices that suits him, allowing him to choose the best travel arrangement for him. All travel information for any worldwide destination to save the user’s money! Pearshare is a social travel app that helps you create collections that you can you later use or recommend to other people. We are sure that this app can largely help you if you are traveling a lot or if you are hosting people, especially through Airbnb. Users can use the already prepared collections of locals (pearls) so they can experience the places they visit in the best possible way. The app is free and available on the App Store. 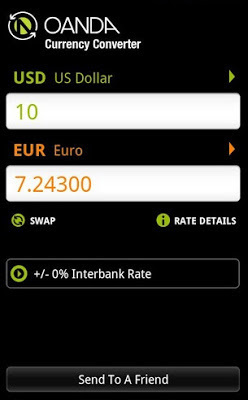 This app is great because it works offline, it is more precise from the stock currency converter, and you can also implement the 2% ATM rate and the 3% credit card rate when you calculate your payments in a foreign country. Simple and useful. This app will give you tons of translated phrases for various tourist situations like: transport, food and accommodation, emergency situations, spoken interaction and basics, like telling the time, day and great list of numbers. It supports Spanish, Portuguese, Polish, German, French, Italian, Russian, Chinese, Korean and Japanese. Also the app offers text to speech and some other useful additional features. 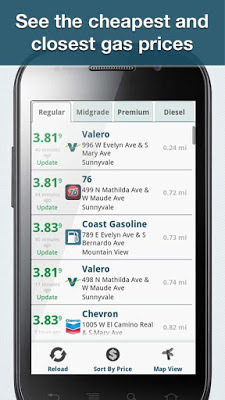 There are numerous quality navigation apps on Google Play and App Store. Google Maps is probably the best, and you can use it offline if you download the maps of desired location in advance. iOS devices have good stock maps app, but it needs work to be better. 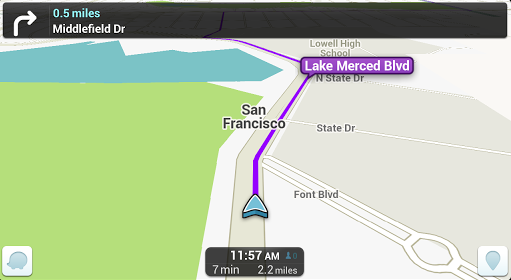 Some other quality navigation apps are the widely popular Waze and the less known, but great, Scout and Map Quest. But if you need a navigation app that will also work offline, without downloading any maps, and will give you directions, than try Sygic. 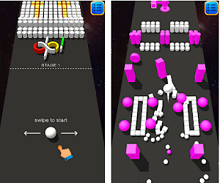 It looks great, it’s in 3D and it has tons of additional neat features. 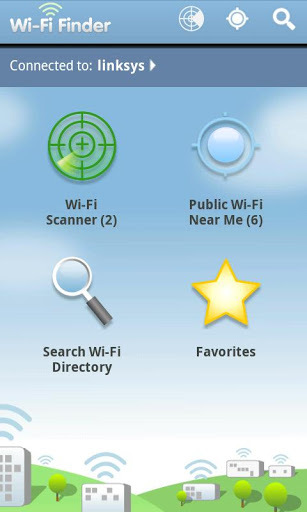 If you are out of your country and mobile internet services are expensive, use this Wi-Fi finder to find free and paid Wi-Fi hotspots that are nearest to you. Is a must have if you use internet often. Another similar app is Skype WiFi. It is an official app released from Skype. They offer around 1 million Skype wifi hotspots around the world on which you can connect to with your Skype credit. They charge only per minute which is great if you need the internet shortly. Having Gas Buddy is a must. It will save you great amount of money, it is user friendly and with precise prices for most of the gas stations. The great thing is that it has tons of gas stations and you will definitely find the nearest and cheapest one on your next trip. TripIt is one of the best trip organizers that is available free on Google Play and iOS. You can keep all your travel plans in the app and view them whenever you want, forward confirmation emails for every reservation to plans@tripit.com and don’t lose them ever again. You can also search for restaurants or places, get the directions and store it to the app with one click. 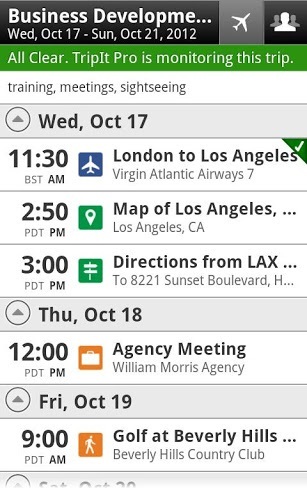 You can share your plans with your friends and even sync them with your calendar. 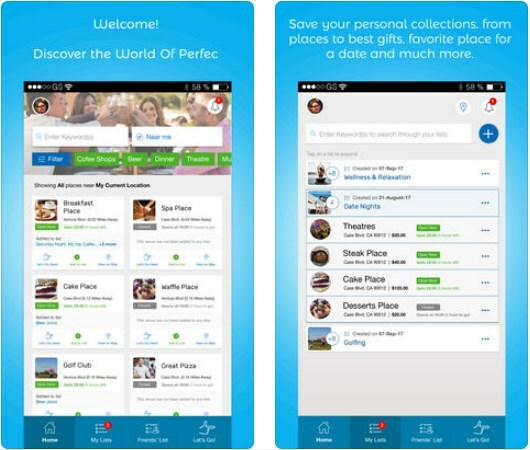 The official app from the famous travel website is a must have. 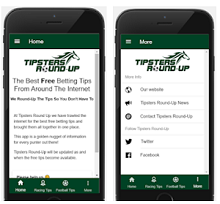 It is fast, responsive, clean and it is perfectly optimized for Android and iOS. It will give you the standard information for places near you, reviews, hotels, restaurants, things to do, flights and forums. If you are in a foreign country in some situations you will definitely need a translator. 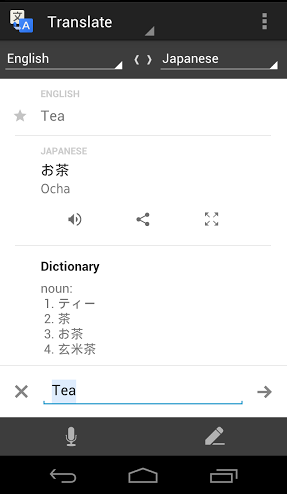 The Google Translate app is the best solution because it is perfectly optimized and designed for your Android devices. Apart from the standard translator feature, it offers offline mode, input words with your voice handwriting and camera. Expedia will offer the best hotels near you, or your desired location, and you can sort them by price, deals or reviews. The app, and the website (expedia.com) frequently offer discounts, enabling you to save money. It offers booking of flights as well and the search of a flight is flawless and very fast. Actually the booking and reservations are very easy and fast to do, and with the discounts and the perfect UI Expedia is surely one of the best free travel apps on Google Play and App Store. The Expedia app is great for booking hotels, but there are some other great booking apps like the official app from booking.com and hotels.com. They are even maybe slightly better. For example, Booking offers not only hotels, but other accommodations as well, and the number of accommodations is maybe the biggest on the whole Internet. Hotels also has wide variety of hotels, offers reviews and great amount of last minute deals and discounts. 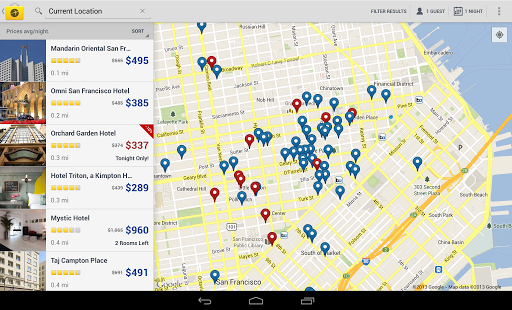 Another quality hotel booking app is Hotels Tonight. If you need to book the hotel the same day and find the latest and best deals for that day, than Hotels Tonight is the perfect solution. Note: The article was published originally in 2013 but since then the list was updated several times to remain relevant and up to date.